Are you planning to move? If so, you’ve probably already have seen that it can be difficult to do. Everything needs to be packed away in boxes and quickly. However, when you do, you might come across quite a bit of dust and dirty areas that you need to clean. At first glance, it can be overwhelming to know how to clean it all, but don’t despair. Thankfully, there are a few things you can use to help you with this task. If you’re looking for some great cleaning products and basic tools you can use to sanitize your living space, keep reading. This article will highlight the top 5 important cleaning products and tools you need in order for everything to go smoothly. 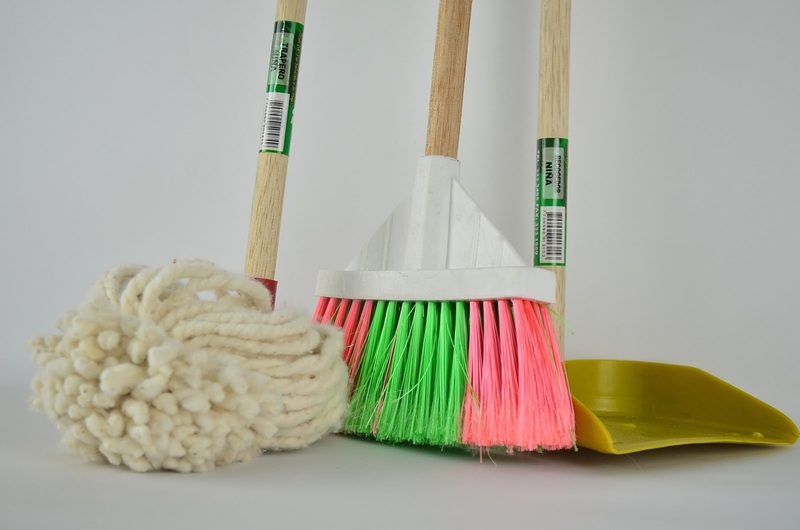 Mops are helpful tools to have on hand when you need to clean flooring. Moving items can kick up dust and other particles which can ruin the look of your floors. So, after moving furniture around it’s a good idea to use a mop to help clean up the area where it was. Surprisingly, you’ll find many different types of mops you can use. There are floor rollers, dust collectors, and string mops. You’ll also find various materials these tools are made out of, like wool and cotton, to help clean the floor and give it a beautiful shine. It’s important to consider these aspects to ensure that you invest in the right type for your move. If there’s one tool you’ll absolutely need to have on hand when you move it’s a disinfectant spray. This will help to sanitize areas after items have been removed from them. It will help to remove bacteria and other germs from the space and give the area a clean glow. You can use this item practically anywhere, like with windows, doors, and sinks, which makes it handy to have. While you can buy plenty of disinfectant sprays, you also have the ability to make your own mixture if you’re looking for a more natural option. You can mix some lemon juice, vinegar, water and even some essential oils into a spray bottle. Vacuums are vital tools to have when it comes to moving. They will remove dirt and other allergens from your flooring and can even work as a duster. You can often use special nozzles that come with these devices and attach it to the hose. This will let you reach difficult areas and up and around the light fixtures to dust them out. When you remove paintings, mirrors, or other similar items from walls it can leave behind unsightly marks. Because of this, you’ll want to have some putty on hand. This can help to cover these marks up quickly. You can even give the dried putty a quick touch-up with paint so the spot matches the rest of the wall. Washcloths are extremely helpful tools to use when it comes to cleaning. They can be used on practically any surface and can reach into tiny crevices. You’ll want to pour some disinfectant or water on one. Then, you can use it to wipe off things like screens, tiles, and sinks. Moving can be a hassle, especially when it comes to cleaning various parts of your living space. However, it doesn’t have to be. There are plenty of cleaning tools and supplies you can use to ensure your living space is spick and span after removing your belongings from it. The 5 tools above are some of the most crucial pieces of equipment you’ll need to ensure your home looks spectacular when moving out of it. They’ll not only be able to remove buildup of dirt and grime, but can help to sanitize them as well which is ideal. If you’re about to move and need some help with cleaning out your living space, definitely consider using the items mentioned above.